OUR PROGRAM WILL RESUME IN SEPTEMBER. 3D Printing of Bulk Nanostructured Metals"
When the grain size of a metal is refined to a scale on the order of just a few nanometers, its strength, hardness, wear resistance, and other properties improve in dramatic ways. There is therefore significant interest in designing and deploying such nanocrystalline alloys for structural applications. However, refining the grain structure is a struggle against equilibrium, and nanocrystalline materials are often quite unstable; the grains grow even at room temperature, and the associated property benefits decline over time in service. In this talk, our efforts to design stable nanocrystalline alloys will be described. We rely on selective alloying as a method to lower the energy of grain boundaries, which can bring a nanocrystalline structure closer to equilibrium. This talk will highlight the path from theory, to proof-of-concept laboratory demonstration, to scale-up and commercialization of such alloys. Beginning from early successes with nanocrystalline alloy coatings, the talk will build to address current opportunities in bulk net-shape products and additive manufacturing. Schuh’s academic training in Materials Science and Engineering focused on metals, including their processing, microstructure, and mechanics. He earned his B.S. degree from the University of Illinois at Urbana-Champaign in 1997, and his Ph.D. from Northwestern University in 2001. He held the Ernest O. Lawrence postdoctoral fellowship at Lawrence Livermore National Laboratory in 2001 before moving to join the faculty at MIT in 2002. 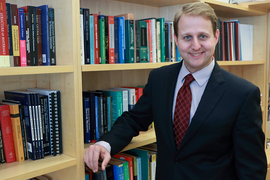 Prof. Schuh’s research is focused on structural metallurgy, and seeks to control disorder in metallic microstructures for the purpose of optimizing mechanical properties; much of his work is on the design and control of grain boundary structure and chemistry. Prof. Schuh has published more than 250 papers and dozens of patents, and received a variety of awards acknowledging his research accomplishments. Prof. Schuh has co-founded a number of metallurgical companies, which have commercialized products ranging from high-performance electronic coatings, to structural metal components, to 3D metal printers. Prof. Schuh also currently serves as the Coordinating Editor of the Acta Materialia family of journals. He has been named a MacVicar Fellow of MIT, acknowledging his contributions to engineering education, and is an elected Fellow of ASM and TMS. Fiber-based Probes for Intervention in the Nerve Tissue"
There is no available therapy for spinal cord injury, and peripheral nerve repair is limited. Nerve guidance scaffolds are under investigation to bridge the nerve gap and establish repair by linearly guiding growing neurons. In addition to being biocompatible, the scaffolds should be porous to allow nutrition, oxygen and waste permeation. Current approaches, however, either do not result in scaffolds with linear pathways, have sub-optimal porosity or biocompatibility, and/or can only be produced at low quantity and scale. By advancing a thermal drawing process, we developed meter-long structures with control over porosity, geometry and length. The structures are fabricated from thermoplastics commonly used in tissue engineering such as poly(caprolactone) or poly(lactic acid). Circular conduits were then 3D-printed using a fuse-printing approach to produce complex, physiologically applicable structures such as microchannel scaffolds at large scale at dimensions similar to human nerves. The closing remarks include discussions on the evolvement of the field by incorporating optoelectronic probes that enable the simultaneous delivery of light for optogenetic stimulation and recording neural activity in transected nerves in rodents. 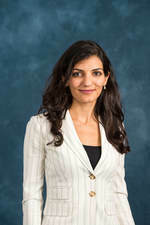 Dr. Dena Shahriari is a postdoctoral researcher at the Research Laboratory of Electronics at MIT. She received her B.S. from University of California, Berkeley and her PhD from University of Michigan, Ann Arbor. During her PhD, she developed nerve guidance scaffolds with unprecedented open structures for nerve repair and suggested that rigid polymers provide better spinal cord repair in rodents compared to soft hydrogels - called, “going against the dogma of softer is better”. At MIT, she is pursuing her passion for nerve repair by combining tissue engineering with optoelectronic interfaces. Upcoming Chapter Events: The 2018 - 2019 Meeting Season begins in September. Thank you for your support of the Boston Chapter over the last year. Our Chapter's 100th Anniversary is February 2020. We have begun planning an exciting celebration. Please check back for updates and a look back on the early years of your Chapter.